Marco joined Nolan Heller Kauffman in September, 2004. He concentrates his practice in the areas of creditors’ rights, business and commercial law and litigation, commercial lending transactions and commercial foreclosures. 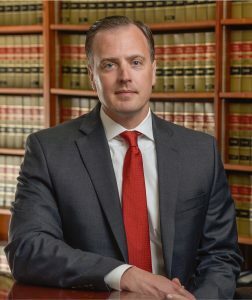 He graduated from the Syracuse University College of Law in May, 2004 where he was a member of The Justinian Society and Lead Articles Editor of the Syracuse University Journal of Law & Technology. Marco is a member of the New York State Bar Association’s Commercial Litigation and Young Lawyer Sections, is a member of the Albany County Bar Association, is a graduate of the Leadership Tech Valley Class of 2012 and is qualified as a mortgage foreclosure referee in Albany and Rensselaer Counties. Representation of a major national banking association in numerous commercial mortgage foreclosure actions throughout New York State on mortgage debts ranging from $50,000 to $10,000,000. Representation of secured lenders in the negotiation and documentation of numerous loan workout agreements involving businesses located throughout New York State, Vermont and Connecticut. Representation of secured lenders in repossessing and liquidating collateral pursuant to UCC Article 9 involving restaurant equipment, commercial vehicles, tanning salon equipment, computer hardware and software, and accounts receivable collections. Representation of commercial lenders in mortgage-secured commercial loan transactions.